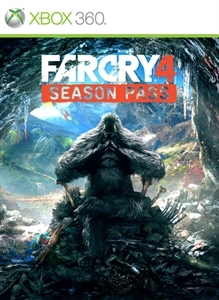 "CONTINUA A TUA AVENTURA FAR CRY 4 COM O PASSE DE TEMPORADA FAR CRY 4. INCLUI: - UMA MISSÃO DE JOGADOR INDIVIDUAL EXCLUSIVA APENAS DISPONÍVEL COM O PASSE DE TEMPORADA. - CAMPANHA “ESCAPE FROM DURGESH PRISON” - “HURK DELUXE PACK” : 5 MISSÕES E 5 ARMAS - MAPA E MODO PVP “OVERRUN” - CAMPANHA “VALLEY OF THE YETIS”"